The intent of our Red Spirit Blog is not just about energy healing. We want to go to the far side of change and offer information to help people connect to themselves in spiritual alignment. With over ten years of dealing with the downright unusual, we choose to introduce different perspectives of the human journey. If you're a past subscriber to our online magazine, you will recognise we have moved away from our eZine format and are in the process coordinating a number of social media aspects. Our Red Spirit Blog is also set-up for RSS which means you can follow us using an RSS reader app. Recent articles will be sent straight to you if you subscribe to our feed. You will see the orange RSS button at the top of the latest news/article box, in the column on the right. It is also on the font page of this site. I appreciate that you may not be familiar with RSS news feeds and I can't really help you to set that up. But I'm sure you will know someone who can. The RSS feed can be sent to your computer and/or smart phone. 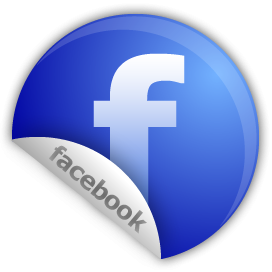 You can also follow us on our Facebook business page. If a thing is free to be good it is also free to be bad. And free will is what has made evil possible. Why, then, did God give them free will? Because free will, though it makes evil possible, is also the only thing that makes possible any love or goodness or joy worth having. A world of automata, of creatures that worked like machines, would hardly be worth creating. It would seem Chris and I have come a long way in that time and yet I still continue to ask my own questions on life. More importantly, questions from colleagues and clients often challenge my perceptions and beliefs, which is a good thing. Anyway, getting back to basics, part of this article will include responses I have sent to clients. The information may be familiar to you and then again perhaps not. I feel it's worth repeating information we have described in the past, albeit in a different way. 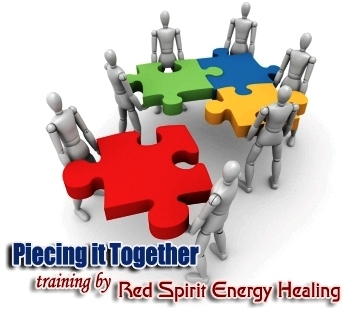 Red Spirit Energy Healing can provide a range of workshops, presentations and training. Continue reading "Workshops, Training and Presentations"
Will centers are multiple aspects of a human being coexisting at a determination point. These determination points will exist within control centers such as chakras, psychic channels and/or third eye anatomy. The resultant will center has consciousness and can be communicated with. It also has the potential to inhibit any healing that is offered. A human being can have one or multiple will centers; there is no set prescription and is determinant upon the choice of the incarnate soul. The posterior chakras are commonly described as will centers, but this is inaccurate. In a previous blog we described the journey of young Kerry exploring boredom, and I would like to give one more example with regards to this topic of life exploration. Chris and I completed a two hour session with a woman aged 60, whom we will name Regina. Regina was in the final phase of treatment for bowel cancer and approached us to help her toward complete healing. In her life journey, Regina admitted that she had attempted to end her life twice, in or around the late teens, early twenties. Naturally when we hear this we expect to discover childhood trauma or abuse in some form. In this case it was a wrong assumption as Regina had grown up in a stable family environment. From the case files: An Exploration of Ancestral Influence. A 25 year old woman from outside of Australia, approached us for a Free Discovery Session. Within that discovery session were two significant aspects. The first aspect to show was a significant imbalance between the male and female energy flow through the body. There was also a genetic, hereditary pattern or cycle coming down the ancestral line of the father, which is not uncommon. Along with all of that, were two ET entities which I initially perceived to be directly in the biofield of Anna. There's not a week goes by without someone contacting us in regards to problems with their home, and I have written many articles describing various cases. There can be many reasons why the family home is impacted by misguided energies and entities. In the following case, an entity was created by negative family dynamics culminating in an explosive argument. The effects were very disturbing and our client described how visiting grandchildren were too frightened to sleep in a particular room. Our client also described an experience of a heavy presence holding them down during the night. This is how we explained it to our client. Names and some details have been changed for the purpose of anonymity. Continue reading "House Entity and Family Dynamics"
When you’re thinking of someone, and then the phone rings and it’s that person, can that be related? That can be an exchange of energy information, that’s telepathy. You had the thought, it was directed to that person so it travelled in their direction, and they were sensitive to receive it, and got a subconscious idea that they were thinking of you, so they decided to call. That’s a very common phenomenon, and people talk about that all the time, even if they don’t particularlybelieve in anything. The following information comes from the transcript of a lecture by Matthew Greene, J.D., CEO of ITEM (Institute of Technical Energy Medicine) delivered in Moscow. Continue reading "nature of consciousness and thought forms"
Certain kinds of animals have animal souls and incarnate within their own groups, but always in service to humanity. Their own soul groups come back as animals...only animals. They do not cross the soul barrier into a Higher-Self being. Animals do not graduate into Human Beings. But it is very easy for Humans to think they do, because this is the way Human thought has always worked for you. In your opinion, you graduate into higher levels and then you become better. Therefore, those who would look at the scheme of life would probably say, "A soul starts as an animal and then works its way up to become Human." However, this is not the case and never was, dear one. Continue reading "Humans and Animals"
Idiopathic pain, is pain of unknown origin. This is the term doctors use for chronic (long-term) pain, lasting 6 months or longer, that has no identifiable cause. Although its origin is often a mystery, idiopathic pain is very real for the sufferer. Medical science may not recognise a cause, but there is often a treatment on offer in the form of drug therapy and/or surgery. In our line of business, it's no surprise when we are contacted by people suffering idiopathic pain. And commonly when first meeting with the person, we are presented with all manner of cryptic clues as to what may be affecting them. Sometimes those clues are very subtle and sometimes they are quite astounding. I have to admit that sometimes we have no answer either, but occasionally we do. Continue reading "Rods, Spears and Idiopathic Pain"
People may ask how can a living organism like a human being have a measurable energetic frequency? The answer is how is it possible that human beings would NOT radiate in certain frequencies? Every living element in our body radiates, vibrates, or resonates at a particular frequency. Our brain operates on electrical current, our ears detect a range of frequencies, and we produce sound vibrations through our voice. Our body also radiates heat within a temperature range. So humans and other living organisms have measurable frequencies on various levels, from the entire body down to the cellular level. Medical intuitive challenges from an energy perspective. When it comes to diagnosing a health condition, there is a plethora of services available to every person in need. Everything from feeling the pulse as in Traditional Chinese Medicine, reviewing the eyes with Iridology, to all the wizbang gadgetry of modern medicine, just to name a few. And within each of these modalities there are again numerous tools available to help the practitioner determine the cause of any presenting condition. In this article, I want to touch on the complexities involved from our perspective, in determining the underlying cause of some problem. The reason for this has two aspects. Firstly, we are sometimes described as medical intuitives when we do not claim to be. Secondly, we are commonly asked by people to interpret their own visions of energy flow which is very challenging as everyone's perceptions are different. Continue reading "Medical intuitive challenges"
I know I've said it many times, but we are indeed very complex multi-dimensional energy beings. Within the visible light spectrum we get to recognise each others physical forms. Our thoughts and emotions are also energy that can be observed in a number of different ways. Pick up any book on energy healing or similar, and it's likely you will read how we are made up of energy levels. And we have all seen the images of human energy fields depicted in those same books. They give the impression we all wander around cocooned in our own bubbles of energy created by multiple layers, like some sort of energetic onion. I guess that's fair enough as it's not an easy concept to describe. But I wonder if we can broaden our thinking just a little? Continue reading "How Complex Are We?" In our work it's common for people to ask us about techniques in meditation. What it is and how it's done, is different for every person. I suggest the practise of mediation is only as complex as you want to make it. You can follow strict principles in a specific style and practise it for years, or you can be like us and keep it simple. Here are some basic tips for beginners. What we have come to accept, is that most of the human population on this planet have origins from elsewhere. In the context of who or what we are, I ask you to consider that not every existence has necessarily been on planet Earth or in human form. Just to stretch your thinking a little further, we have been told that the initial origins of most of the souls on Earth were created elsewhere. Less than 10% of the planets human inhabitants carry the purest form of original human encoding. Omphaloskepsis or navel-gazing is the contemplation of one's navel as an aid to meditation. Phrases such as "contemplating one's navel" or "navel-gazing" are frequently used, somewhat humorously, to describe self-absorbed pursuits. Most people would be aware of what many spiritualists describe as the silver cord. According to spiritualist ideology, this cord keeps your spirit attached to the physical body when in astral time and other out of body experiences, until the time or your death. At that point of transition, the cord breaks and the soul is released to heaven. Depending on what book you read, the silver cord may be described as being attached at the navel or the head. The following is our understanding of the silver cord and more. I have described many times how disease and disharmony are indicators we have strayed off our life path as a human on this planet. To some extent this is true and yet there are also many instances when we also choose to experience a disease or some other imbalance as part of the exploration of life. It sounds crazy I know, but the more work Chris and I do in this field, the more we recognise that life on Earth has very little to do with spirituality. Now that may shock some people, but bear with me as I try to explain my point of view. Continue reading "Boredom of Enlightenment"
You could argue that absolutely everything is a consequence of choice, as we all choose to experience a human existence for some reason unique to each individual. Having said that, I would like to acknowledge that external factors or influences can affect us, that are not related to choice. However, one of the greatest challenges we have in our work, particularly when faced with very complex cases, is helping the client to accept that their situation is a direct consequence of choice. What we need to do is look behind the choice, to understand the purpose. Continue reading "Purpose of Choice"
If there are times when you are having difficulty releasing hurt and allowing forgiveness for others, I have a technique you may like to try. Consider that in order to allow healing and forgiveness for yourself, you need to offer healing for those you feel have done you wrong. That can require some effort, does it not? Much of the time we tend to be more focused on revenge or anger than anything else, and that blocks our healing. This technique allows you to dissociate from the event and the person, allowing the octaves of music and energy to do the work. Continue reading "Octaves of Forgiveness"